Give your home the royal treatment with this regal table lamp, featuring an elegant silhouette hand-finished in the UK with decadent Gold Patina. A large curved fabric shade in rich cream completes the look, whilst decorative accents on the base and above the shade add interest and appeal. 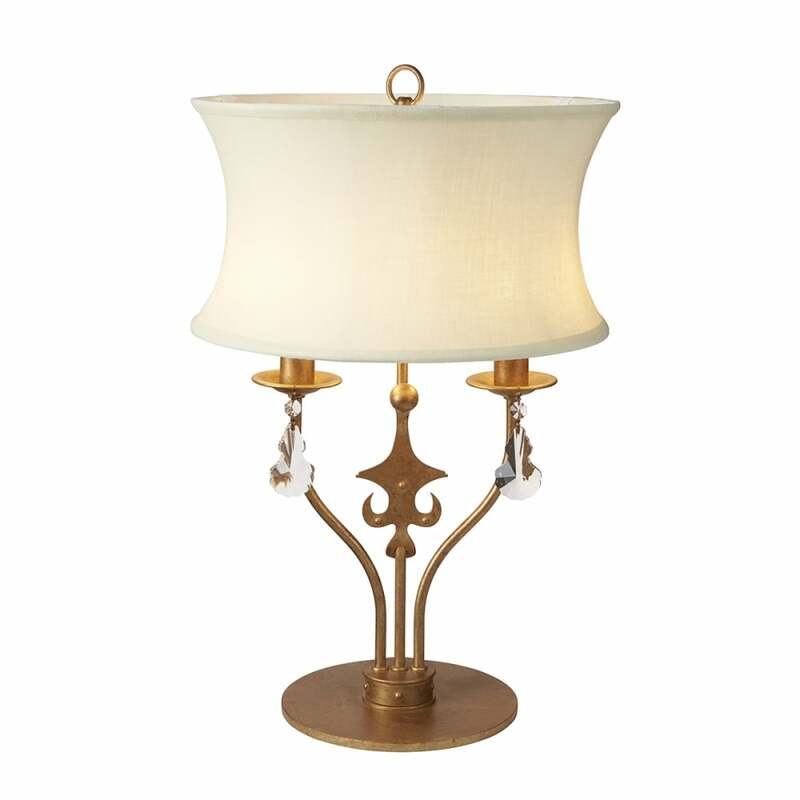 Matching items available include chandelier, wall light and semi-flush designs. View All Elstead Lighting for more information on Windsor or view the complete Windsor Collection.